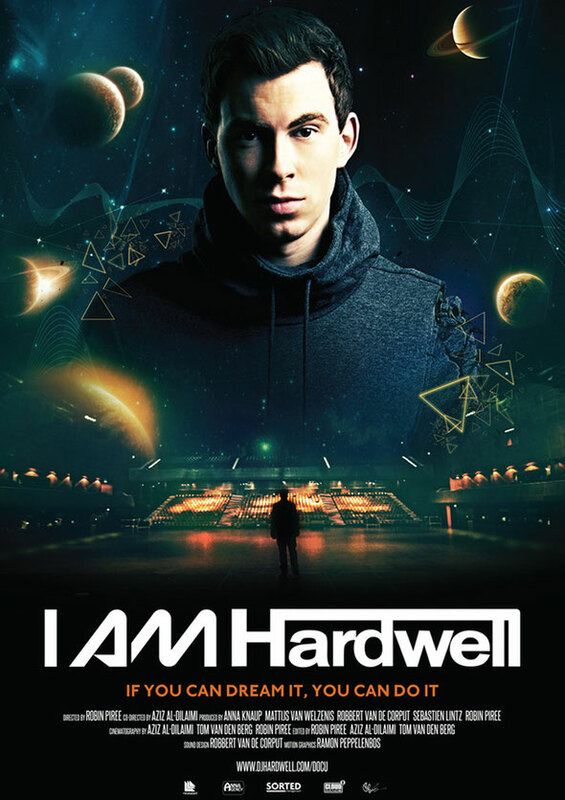 After kicking off his world tour concept, I Am Hardwell, earlier this year in his home country the Netherlands, Hardwell will now release his own documentary: I Am Hardwell. The official red carpet premiere will take place on October 17 during Amsterdam Dance Event in the famous Amsterdam cinema, Tuschinski. For over two and half years, Hardwell has been followed by videographer Robin Piree, the man behind Hardwell's after-movies and Q&A concepts. During that time Piree had been extensively filming the 25-year-old DJ/producer's growth from being an upcoming artist to becoming an international superstar DJ. The documentary provides an inside-look on Hardwell during a period when his international success grew exponentially. His motto of ‘If you can dream it, you can do it’ translates a boy’s dream of the 16-year old Hardwell someday becoming the number one DJ in the world. An interview that gives a personal insight on being an artist and the constant struggle that it brings about, including always wanting to overcome the personal goals which you set for yourself and always pushing to give the greatest performance of your life. With the premiere of the movie in the oldest and possibly the most beautiful cinema of the Netherlands, another dream of Robbert van de Corput (Hardwell) becomes a reality. Check the movie’s trailer below.